The request left Lofgren completely stunned. He had got his first big break back in 1970 when Young invited him to play on After the Gold Rush when he was just 19. He went on to join Crazy Horse for their 1971 self-tiled LP (recorded without Neil Young) and two years later he cut Tonight’s the Night with Young and the Crazy Horse rhythm section of Ralph Molina and Billy Talbot. But besides sporadic charity shows and the 1993 MTV Unplugged special, Lofgren hadn’t really been in one of Young’s backing bands since the Trans tour in 1982. It sent Lofgren’s mind right back to the Tonight’s the Night sessions, shortly after the death of original Crazy Horse guitarist Danny Whitten and roadie Bruce Berry. “We’d get together at dinner time and drink and play pool, smoke a little Thai weed and not worry about music,” he says. “It wasn’t until after midnight we’d go into the studio and play. 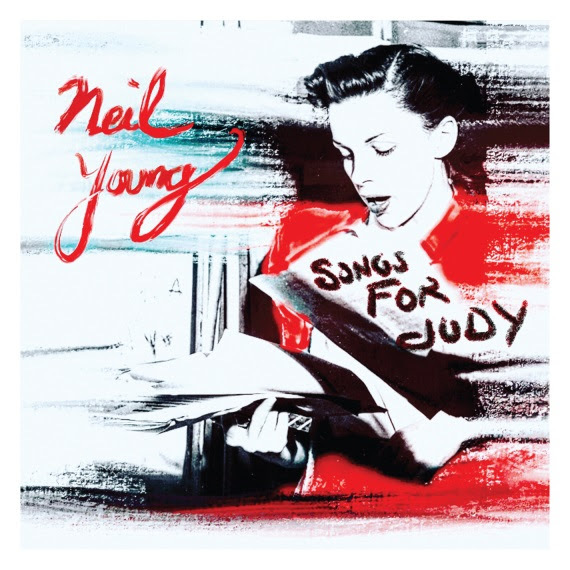 Neil would sketch out three or four songs we really didn’t know. He said, ‘I don’t want you to know them. I want to do an anti-production record. I don’t want you to have a part for the chorus and a part for the verse. I don’t want you get to know them that well. Vinyl issue of a late 1973 recording from New York with the Santa Monica Flyers. 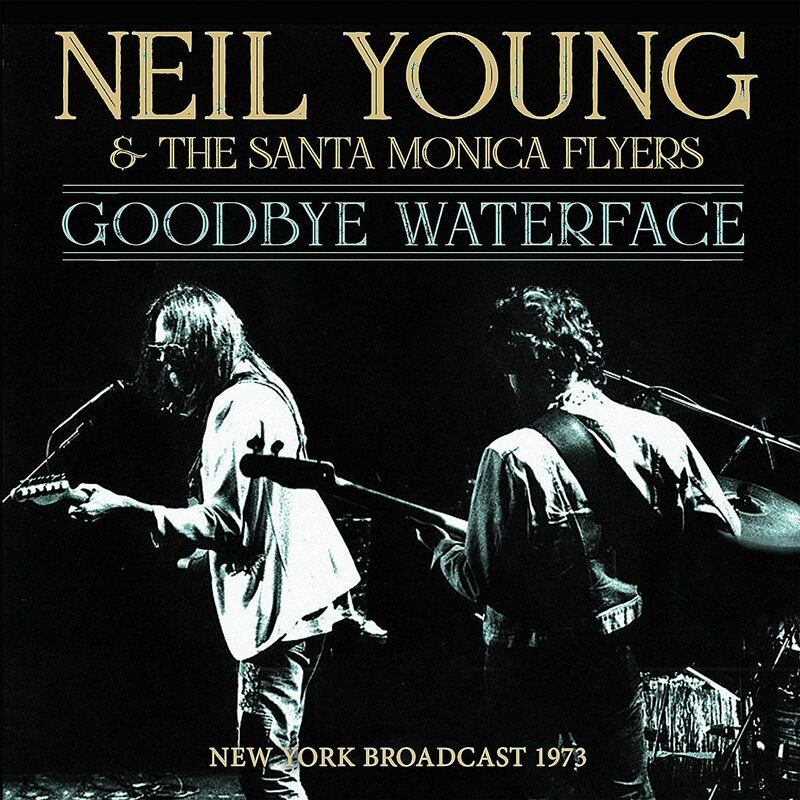 In the second half of 1973, Neil Young formed The Santa Monica Flyers, with Crazy Horse’s rhythm section augmented by Nils Lofgren on guitar and piano and Harvest/Time Fades Away veteran Ben Keith on pedal steel guitar. Deeply affected by the drug-induced deaths of Danny Whitten and roadie Bruce Berry, Young recorded an album specifically inspired by the incidents, “Tonight’s the Night”. The album’s dark tone and rawness led Reprise to delay its release and Young had to pressure them for two years before they would do so; it finally came out on in June 1975. By late ’73, Young and The Flyers were touring and performing songs, as yet unreleased, later to be included on Tonight’s The Night. On November 15th the ensemble performed at Queen’s College in Flushing, New York, for a show which remains quite staggering and is featured on this CD in its entirety. Including six cuts from Tonight….., plus a smattering of numbers from previous records, this concert, released here for the first time, is unlike any other Neil Young ever played. Neil Young shared a new video on his website, taken from a live solo performance of his classic protest song, “Ohio,” which Young wrote and recorded with Crosby, Stills, Nash & Young in 1970 in response to the shooting of students protesting at Kent State in early May of that year. Young explains that he made the video with his wife, Daryl Hannah for fans to “reflect on” the current state of gun laws in the US, along with the waves of student protests and calls for increased gun safety laws in the aftermath of widespread school shootings. 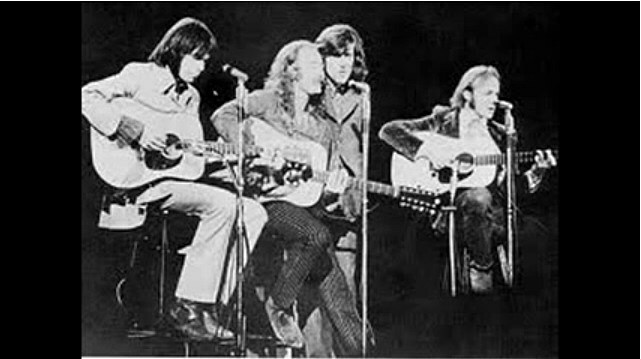 From the time they came together as a trio at the end of 1968, to the fall of 1973 when they turned in this impromptu set at Winterland, the three voices comprising Crosby, Stills and Nash had all seen their share of changes: they triumphed with their 1969 self-titled debut, Then joined forces with Neil Young for the follow-up Déjà Vu in 1970, which took their show on the road; by the end of that run, they’d weathered the kind of wear and tear on their hearts and souls that could throw any band off course for good. 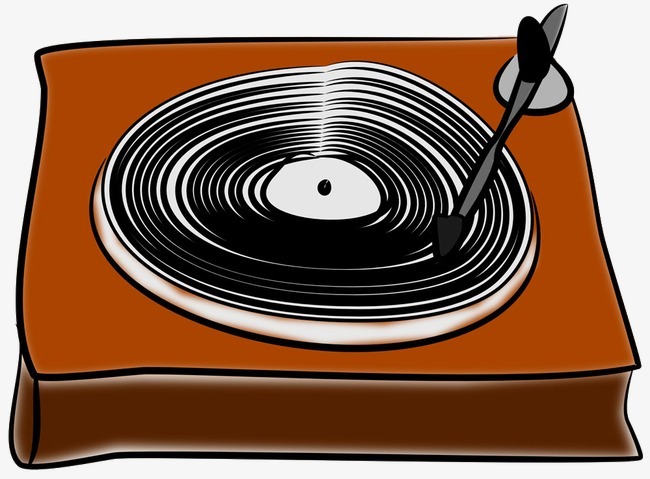 And yet, whether performing songs from those first two albums or the solo albums like David Crosby’s “If Only I Could Remember My Name”, Graham Nash’s “Songs for Beginners”, Crosby and Nash’s heralded duo album, or Stephen Stills‘ solo albums and the works with Manassas. In the Fall of 1973, Crosby, Stills and Nash were still slightly reeling from a busy period that followed recording in Hawaii with Young and the passing of CSN&Y roadie Bruce Berry (famously eulogized by Young on “Tonight’s the Night”). Stills had been on the road with his band Manassas, and Crosby and Nash were playing their own shows with an electric band. But when Manassas booked a couple of dates at Winterland on October 4th and 7th of 1973, it was reunion time when Crosby and Nash pulled a walk-on and the trio appeared onstage together for the first time since 1970. These Winterland shows foreshadowed a proper reunion on the horizon: a couple of months later, Young would join Nash and Crosby at an appearance at the San Francisco Civic Arena and, the following year, CSN&Y would be on the road again, playing to their largest audiences ever as a throwback to their early days when the vocal giants were just a trio, this Winterland night is a historic footprint on CSN’s trail of rock & roll. Crosby, Stills & Nash started off their October. 2nd, 1973 concert at San Francisco’s now-defunct Winterland venue as a trio. But, again, mirroring their career trajectory, they were joined by none other than Neil Young halfway through the show, to the crowd’s uproarious delight. The first show of an impromptu two-night stint at Winterland, which hauled double duty as an ice skating rink and music venue in its seven-year lifespan, the October. 2nd show saw the trio reunited on stage for the first time since 1970. It was an unexpected reunion, as Stills’ newly formed band Manassas had booked The Winterland for dates on October. 2md and 7th, but, as the run’s commence, Nash and Crosby piled on stage (only later to be joined by Young). They opened the show with a pair of songs from Crosby, Stills & Nash’s 1969 debut, “Helplessly Hoping” and “Wooden Ships,” Then they played The Beatles’ “Blackbird” and Stills’ “As I Come Of Age” before Young appears as if out of thin air, joining the band for renditions of his own “Roll Another Number (For the Road)” and “New Mama” as well as a few more CSN hits. Young’s cameo would foreshadow a CSN&Y tour the following year, in which the quartet played to some of their biggest crowds ever. The Classic 10th anniversary Farm Aid set from Neil Young. The anniversary concert was held at the Cardinal Stadium in Louisville, KY with Neil Young returning as headliner, as he has done almost every year since Farm Aid began. Young performed most of the Cardinal Stadium concert with minimal backing, accompanied only by Willie Nelson on guitar and Mickey Raphael on harmonica. Crazy Horse joined him for the two-track encore however, providing a full scale rock-out on which to complete proceedings. The period prior to the concert had been a busy time for Neil Young. He and Crazy Horse had produced the sombre Sleeps With Angels in 1994, dedicated to Kurt Cobain, who had committed suicide earlier that year. This was followed in June 1995 by Young’s collaboration with Pearl Jam, Mirror Ball, and in 95 too, Young was also recording the instrumental soundtrack for Jim Jarmusch s black and white western Dead Man, which saw general release on 10th May 1996. Young played a set that included numbers from across the man s career, although with emphasis on his 1970s output. Comes A Time , The Needle and The Damage, Mother Earth ,Four Strong Winds Helpless ,Heart Of Gold ,Sugar Mountain Country Home , Slip Away . Farm Aid was started by Willie Nelson, Neil Young . On July 3rd, Neil Young live-streamed a solo acoustic show from the Fox Theatre in Detroit that didn’t go completely as planned. Audience members, perhaps fueled by 4th of July celebrations, disrupted the performance, shouting at the 72-year-old singer as he played and spoke from the stage. Neil Young brought his brief six-date solo acoustic tour to Detroit’s Fox Theatre , choosing the venue in part because of his love for the city and the venue. He took the stage surrounded by a circle of guitars, a banjo, and a ukulele, and launched into a batch of primarily early ’70s chestnuts on string instruments. Then, atypically, he took a spin playing a number of songs on the three different pianos and pump organ on stage. 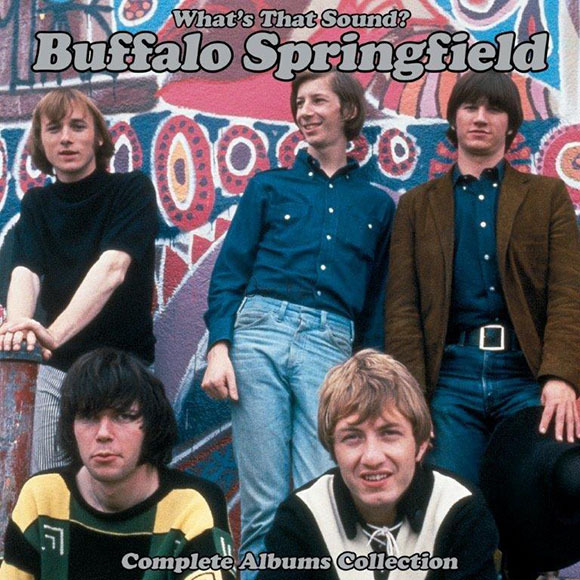 The Detroit News reported fans treated the “deeply personal and intimate” concert “like a rollicking Crazy Horse show in an arena or an amphitheater, yelling out for song titles … or just bellowing Young’s name so frequently that it ruined the vibe of the evening.” Fans, however kept yelling out song titles (“HARVEST MOOOOOOOON!”) or bellowing Young’s name (“NEEEEEEEEEIIIIIIIIIIILLLLLLLLLLL!”) so frequently that it ruined the vibe of the evening. When it comes to concert couth, it’s usually younger audiences that are accused of being bad fans. They won’t put their phones away, they’re more concerned with being seen by their peers than living in the moment, etc. But those moments, though they may affect an individual’s participation, rarely disrupt from the overall experience of a concert. “You can keep shouting them, but I’m never going to play any of them,” Young is reported to have replied. “There were some songs that shone through in spite of the obstacles and I am very happy they did,” Young noted, adding that he hoped to one day return to Detroit to a more receptive, less disruptive audience and give them a more fully engaged performance. The Tuesday Young show at the FoxTheatre had been billed as “Neil Young Solo,” and found the 72-year-old to be performing by himself, mostly acoustic, in a deeply personal and intimate setting. Very simply, it wasn’t that kind of show. The concert was a journey through Young’s career, and he told stories about his early days in Detroit and his memories of performing and recording in the city. But several times he wasn’t able to get through stories because fans were shouting and acting like jackasses. “Just pretend like I just told a story,” he said at one point midway through the concert, because by then he’d been shouted over so often that it was no longer worth trying. I can’t recall attending another concert where the rowdy, unruly behavior of the crowd affected a show quite like the Neil Young crowd did, quoted local newsman. It’s not just Neil Young, the same situation when Jackson Browne played Freedom Hill earlier this summer, Is there a generation gap when it comes to concert norms that leads to a feeling of entitlement by concertgoers of a certain age? That they paid their money and they can yell out whatever they want, whenever they want? Or is the bad behavior symptomatic of a larger breakdown of respect for others in today’s America? To be fair, at Neil Young it was a case of a few ruining it for everyone, which is often the case in many disturbances, be it at a concert or a public gathering of any sort. And those few are either too ignorant, too belligerent or too male to empathize with others or realize the effect they’re having on everyone else. And too often it’s the few who dictate things for the many. Neil Young knows his name, yelling “NEIL!” or “UNCLE NEIL!” isn’t going to cause any grand epiphany for him. He knows you love him, that’s why you paid to come see the show. And he knows his songs, shouting “MY MY, HEY HEYYY!” isn’t going to remind him that he sings a song called “My My, Hey Hey” and get him to play it for you. By attending a concert, like any public gathering, you enter into a social contract. The same way you wouldn’t sit down at a restaurant and scream the chef’s name after biting into the pasta primavera, you shouldn’t shout out things at a concert if it’s not that kind of show. Read the room and act accordingly. At an arena rock concert, all bets are off, the louder you are the better. But if a concert is a quiet acoustic gathering, keep the loud comments to yourself for the sake of those around you.